To hear the word of God and keep it can mean unpopularity and conflict. We cannot compromise the Gospel, even for the sake of easier relations with others. We celebrate today the final blessing Our Lady received after her life of obedient service to God. Through her Son we can all come to share God’s life if, like her, we answer God’s call and always rely on her help. Mass times: Tuesday, Vigil: 7.30pm Wednesday, 8.00am, 10.30am, and 7.00pm. Please note there is no 12.00 noon Mass on Thursday next. Now towards the end of the summer season, at a time when fruits are ripe in the garden and fields, the Church celebrates the most glorious “harvest festival” in the communion of Saints. Mary, the supremely blessed one among women, Mary, the most precious fruit which has ripened in the field’s of God’s kingdom, is today taken into the granary of heaven. (Fr. Pius Parsch 1884-1954). ORDINATION REMEMBRANCE On Thursday next, August 15th, Bishop Jones celebrates the Nineteenth anniversary of his Episcopal Ordination. Let us remember him in a special way in our prayers and may he continue to be empowered by God’s grace in his sacred ministry. Ireland will be consecrated to the Immaculate Heart of Mary on August 15th, the Solemnity of the Assumption of the Blessed Virgin Mary. The consecration will take place at Knock Shrine, during the annual Novena to our Lady of Knock. Cardinal Sean Brady, Archbishop of Armagh and Primate of All Ireland will lead the Act of Consecration. The Prayer of Consecration will entrust families, homes and the dioceses of Ireland to Jesus through the Immaculate Heart of Mary and call on her to watch over the young people of Ireland. As the universal Church is currently celebrating a Year of Faith, it is fitting that the Act of Consecration calls to mind the woman of faith par excellence and asks for her prayers for the people of this country. ELPHIN DIOCESAN PILGRIMAGES 2013 – KNOCK SHRINE Led by Bishop Christopher Jones – SUNDAY NEXT, 18th August. The ceremonies commence at 2.30pm with the anointing of the sick in the Basilica followed by Mass, Blessed Sacrament and Rosary Procession at 3.00pm. Please join us for this special occasion. Bus leaving St. Anne’s at 10.45 am., calling to the Cathedral at 11.00 am. To book please Tel: Sabrina at St. Anne’s on 9145028 before Tuesday next. Thank you. 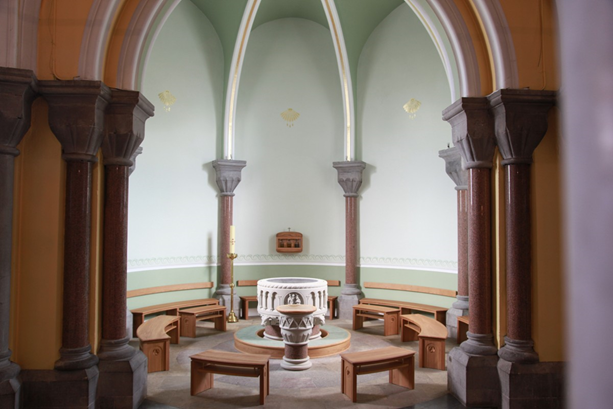 NOVENA – 14th – 22nd August – Twice daily: 3.00 pm, and 8.30 pm, except on Thursday 15th and Sunday 18th when ceremonies commence with Anointing of the Sick at 2.30 pm. Theme: Faith & Heritage. Speakers: Wed, Aug. 14 Fr. T. Murphy, SSC, Thurs, 15th Archbishop Eamon Martin, Friday, 16th Trish O’Brien, Sat, 17th Most Rev. P. Boyce, (OCD), DD. Sunday, 18th Most Rev. C. Jones, DD, Monday, 19th Fr. Frank Fahey, Tuesday, 20th Fr. Salvador Ryan, Wed, 21st Fr. R. Gibbons, P.P., Thursday, 22nd Fr. G. Fitzpatrick. provides a confidential Drop-In listening service for pilgrims and visitors to Our Lady’s Shrine of Knock. Open Sat & Sun 11am – 5pm offering people the opportunity to discuss personal issues and difficulties in a caring environment. Tel: 094 937 5032 or visit www.knock-shrine.ie/counselling. A donation is appreciated towards the provision of this service. ST JOSEPH’S YOUNG PRIESTS SOC. 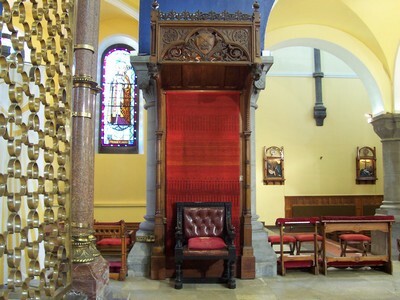 – Monthly meeting in Cathedral on Monday, 12th August at 11.00 am. New members invited. MISSIONARIES OF CHARITY – NOVENA FOR FEAST OF BLESSED TERESA OF CALCUTTA – TUESDAY, 27th August 7.00 pm Holy Mass in the Cathedral concelebrated by Archbishop Charles Brown and Most Rev. C Jones 28th , 29th, 30th Aug. Sept. 2nd, 3rd, 4th at 7.00 pm. Holy Hour in the Cathedral. Sat, 31st Aug, Sunday, 1st Sept. 7.00 pm. Holy Hour in Chapel of Missionaries of Charity, Thurday, Sept. 5th 7.00 pm., Holy Mass in the Cathedral – Fr. Columba C.F.R + Concelebrants. MARY’s MEALS FUNDRAISER – Mass in the Cathedral of the Immaculate Conception at 7.30pm on Monday, 12th August for the sponsored walkers arriving at The Glasshouse Hotel, Sligo on Mon 12th at about 4.40pm. Also sing song in Early’s Pub, Bridge Street, Sligo on 12th August at 9pm. All are welcome. SOCIETY OF ST. VINCENT DE PAUL COLLECTION – annual Parish Envelope collection takes place this Thursday, August 15th. This collection will enable the Society to provide practical support to those experiencing poverty and social exclusion, by providing a wide range of services to people in need in our community. Your help is greatly appreciated, thank you. PRAYER FOR THE WEEK – Lord you gave me life and the gift of freedom. Through Your love I exist in this world. May I never take the gift of life for granted. Amen. 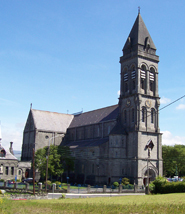 AREA MASSES Maugheraboy – 7.30 pm., Wednesday, 14th August. Thornhill, home of Pauline Cushman – Thursday, 22nd August, at 8.00 pm. All neighbours welcome. FEAST DAYS THIS WEEK – Sun 11th St. Clare, virgin; Mon 12th St. Jane Frances de Chantal, religious, St. Lelia, virgin, St. Attracta, virgin, St. Muredach, bishop; Tues 13th Ss Pontian, pope & Hippolytus, priest, martyrs, St. Fachtna, bishop; Wed 14th St. Maximilian Kolbe, priest & martyr; Fri 16th St. Stephen of Hungary; Sat 17th Our Lady of Knock; Mon 19th St. John Eudes, priest; Tues 20th St. Bernard, abbot & doctor of the Church; Wed 21st St Pius X, pope; Thurs 22nd The Queenship of the Blessed Virgin Mary; Fri 23rd St. Rose of Lima,virgin & St. Eugene, bishop; Sat 24th St. Bartholomew, apostle. CATHEDRAL REPAIR & APPEAL We apologise for any inconvenience caused to you, our parishioners, while the internal walls of our cathedral are being repaired. This repair work resulting from dampness is necessary for safety and aesthetics. It is work we had not budgeted for and is costly. We therefore make a special appeal to all who support our parish financially to endeavour to maintain their weekly contribution at their current level and if at all possible to consider an increase to help defray the costs involved in the repairs. We are conscious of the harsh economic climate that all are experiencing however we would like to mention that we are finding it increasingly difficult to meet our financial commitments because of a fall off in our parish contributions. Thank you for your ongoing support of our parish. YEAR OF FAITH – PILGRIMAGES – LOUGH DERG The Year of Faith ends on 24th November. It invites us to reflect on our journey of life. A pilgrimage to LOUGH DERG is one way for you to answer the call to renewal in faith, personally or as part of a group. The three day pilgrimage season ends on 15th August. For information on bookings or public transport, phone 071 9861518, email info@loughderg.org, online www.loughderg.org. SLIGO PARISHES CLUSTER PILGRIMAGE TO LOUGH DERG SAT. 14th September. For booking please contact Sabrina Rooney on 9145028 or call in to St. Anne’s Parish Office. Cost €40 for Lough Derg and €10-€15 for bus (depending on numbers). A deposit of €25 must be paid when booking. THE IRISH PILGRIMAGE TRUST invites past and present carers and friends of the Trust to join a one day retreat / pilgrimage to Lough Derg on the 21st September from 10am to 4pm. Cost €40, includes boat, tea/coffee, and lunch. Email: zodea@irishpilgrimagetrust.com. YOUTH 2000 SUMMER FESTIVAL – Cistercian College, Roscrea, Co. Tipperary from Thursday 15th-Sunday 18th August 2013. For young people aged 16-35. The festival is donation only. Free buses available. For more information and to book online see www.youth2000.ie or phone 01 6753690. TRIP TO CROZON – SEPTEMBER 2013 from 7th-14th. The trip is open to all, cost €220pp, includes coach & ferry including cabin. Accommodation with host families. Please contact Dymphna at 9161238 or Michael at 087-6495349 or Pat at 086-8543046. GILLOOLY HALL BINGO – THIS WEEK’S JACKPOT €2,550!! Tonight, 11h August at 9pm. Raffle prizes & refreshments. All welcome! MCR COMMUNITY PRE-SCHOOL, Mail Coach Road, has FREE places available in September (ECCE). Subvention places also. Professionally qualified staff. Varied curriculum & fun. Tel 914 6512. for full details. MARYVILLE HOSTEL volunteers required for 1 – 2 hours each week. Please contact the Staff at Maryville Hostel on 071-9161688. Thank You! If you would like to have your house blessed over the Summer just make contact with your Area Representative or the Parish Office Tel: 9162670. If a member of your family or a neighbour is seriously ill, whether in hospital or at home, and would like a visit from a priest, just leave a message at the Parish Office Tel: 9162670. If you are getting married over the next six months make contact with the priest now and make sure the preliminary paperwork is completed in good time. Your prayers are asked for the repose of the souls of DERMOT KEAVENEY, Treacy Ave and DAN GETHINS, St. Joseph’s Tce. May God Grant them eternal rest and comfort and console their bereaved families and friends. WEEKLY NEWSLETTER – Next issue Sunday, August 25h. Last date for receiving notices is midday Wednesday, 7th August.